This 8-year-old C. japonica chance seedling first bloomed in 2008. It was originated and propagated by James and Elaine Smelley of Moss Point, Mississippi. It was registered by James Smelley of Moss Point, Mississippi. 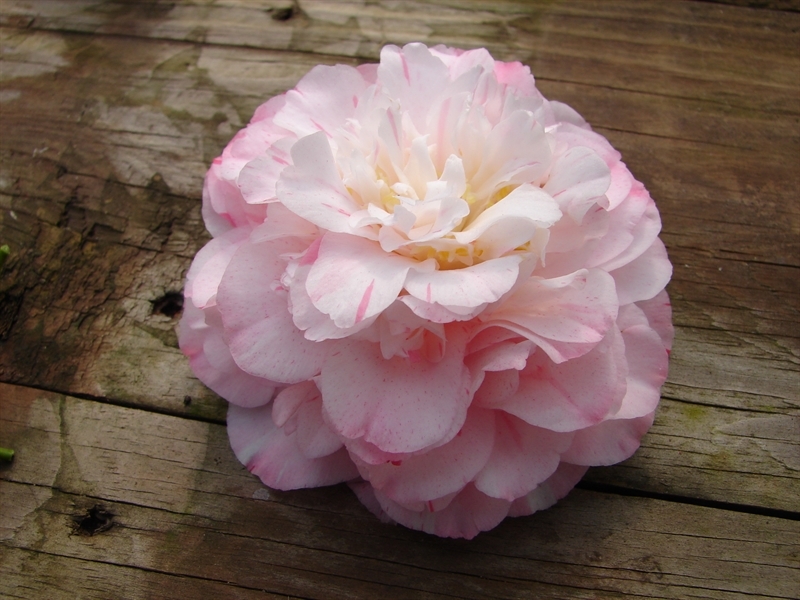 Bloom: The small sized 2.5” x 1.75” semidouble to loose peony to rose form double flower is very light pink with red or pink stripes. It has 40 petals with yellow anthers and white filaments. It is a profuse bloomer, with long lasting flowers that fall in one piece. Leaf: The medium green leaves average 3.5” x 2” with low serration.